Great weekend for India. Great day for Indian space programme initiated in 1962. 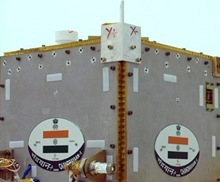 Chandrayaan-1 spacecraft of Indian Space Research Organisation (ISRO) successfully placed the Indian flag painted on the sides of Moon Impact Probe (MIP – photo on the right) at 2031 hours IST on November 14, 2008. The Chandrayaan-1 with a mission life of 2 years, is aimed at high-resolution remote sensing of the moon in visible, near infrared (NIR), low energy X-rays and high-energy X-ray regions. 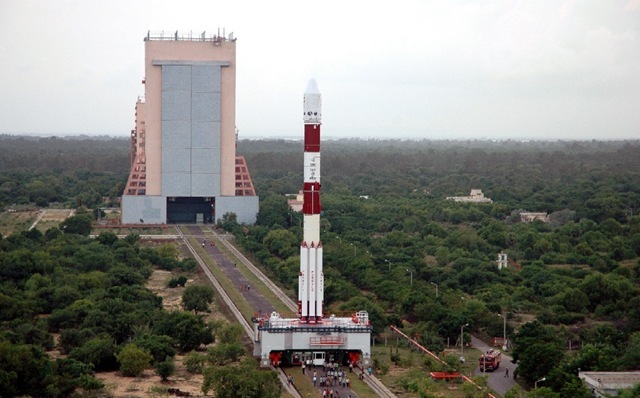 The Chandrayaan-1 moon mission was launched on October 22 through PSLV-C11. Chandrayaan-1 spacecraft is presently orbiting at an altitude of 100 km from the lunar surface. MIP is one of the 11 payloads of Chandrayaan-1 spacecraft that successfully hit the lunar surface. This is the first Indian built object to reach the surface of the moon. 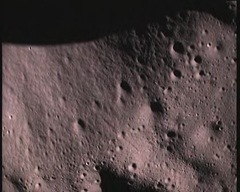 The point of MIP’s impact was near the Moon’s South Polar Region. Chandrayaan-1 X-ray Spectrometer (C1XS) through ESA – a collaboration between Rutherford Appleton Laboratory,UK and ISRO Satellite Centre, ISRO. Near Infra Red spectrometer (SIR-2) from Max Plank Institute for Solar System Science, through Max-Planck Society, Germany and ESA. Sub keV Atom Reflecting Analyser (SARA) through ESA, from Swedish Institute of Space Physics, Sweden and Space Physics Laboratory, Vikram Sarabhai Space Centre, ISRO. Here are close up pictures of the moon’s surface taken by Moon Impact Probe (MIP) on November 14, 2008 as it approached it after separating from Chandrayaan-1 spacecraft. 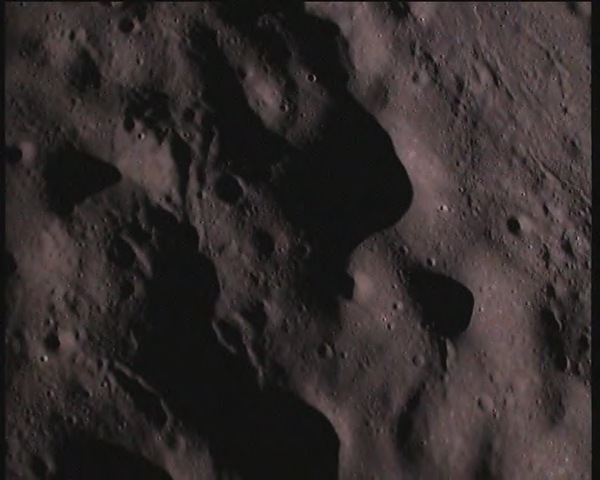 Here are interesting three part video clips on Chandrayaan-1. Part 1, Part 2, Part 3. All the above images are from ISRO and read more about Chandrayaan-1 mission from ISRO.